So, it seems that the perpetrator of the school massacre in Florida, USA did not practice shooting only in his backyard and at a United States Army reserve officers training facility. The 19-year-old American who was arrested for killing seventeen people at a school in Parkland has ties with a white nationalist group in Florida. The leader of that militia, Republic of Florida, has stated so. The group wants Florida to become an independent country with only ethnic white inhabitants. 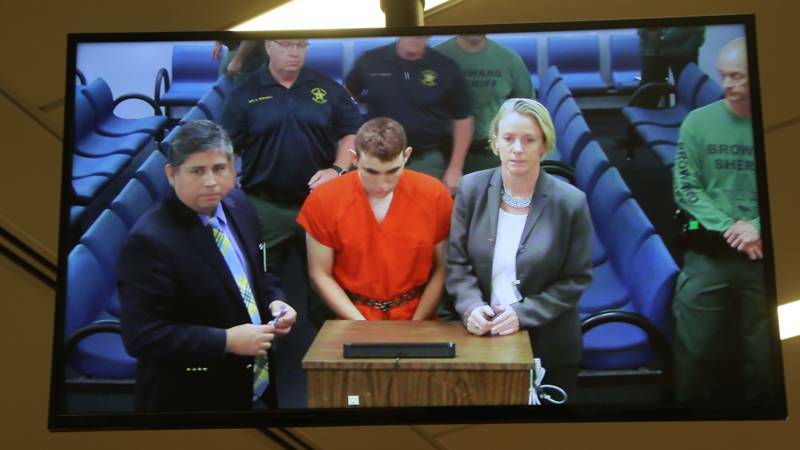 The 19-year-old Nikolas Cruz is said to have participated in paramilitary training in Tallahassee city. Trump posts inflammatory tweet appearing to blame Parkland mass shooting on shooter’s classmates: here. An active duty U.S. Marine was found to have belonged to a white supremacist group that took part in last summer’s deadly Charlottesville, VA riot, ProPublica reported. Vasillios Pistolis, 18, who posted online under the name VasillistheGreek, was very proud of his work in Charlottesville— which killed three people and left dozens injured. Pistolis was a member of Atomwaffen Division, a secretive neo-Nazi organization whose members say they are preparing for a coming race war. The group espouses the overthrow of the U.S. government through acts of political violence: here. This entry was posted in Crime, Peace and war, Racism and anti-racism and tagged Florida, terrorism by petrel41. Bookmark the permalink.